At the northern border of New York, the point where the Oswegatchie River empties into the St. Lawrence is an area full of historical importance. In 1749 the French erected a mission named Fort de La Présentation to convert the local Indian population and solidify their holdings in the area. When the British took control after the French and Indian War they renamed the stronghold Fort Oswegatchie and held it until 1796. American settlers then moved into the region establishing a community named Ogdensburg. 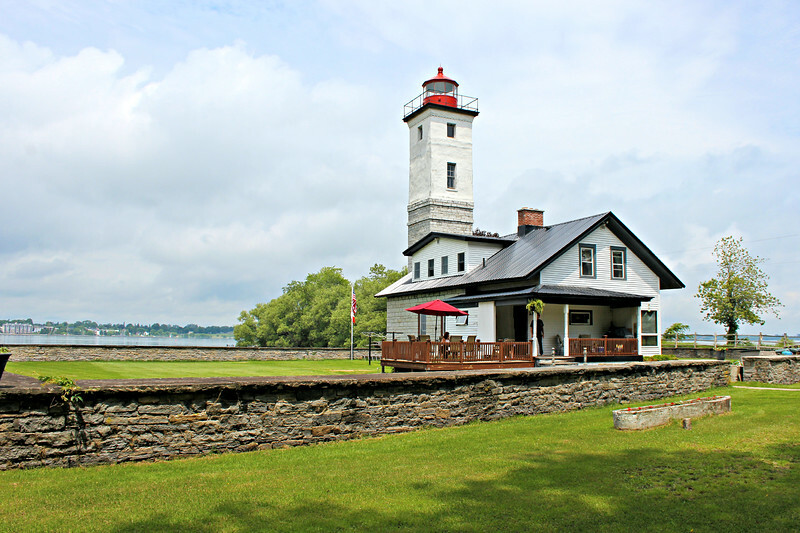 The United States built a Customs House there in 1810 to serve the area and Ogdensburg quickly became an important port along the St. Lawrence River. Ogdensburg Harbor was difficult for shipping to enter due to the numerous shoals and dangerous currents where the rivers meet. The U.S. government purchased a 1½ acre parcel of land at the mouth of the Oswegatchie River in 1834 to build a lighthouse to guide shipping into the busy port. Congress appropriated $5,000 for the construction project.